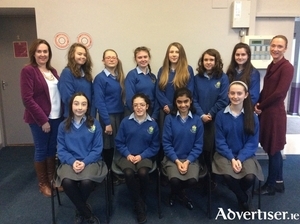 A second year science class in St Joseph's Secondary School, Castlebar, has been announced as the overall winner in the National Saffron Science Competition for 2016. This year, entrants were asked to create a three minute video around the question 'How science and technology can make managing transportation safer? 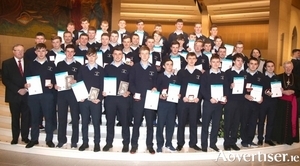 Students from St Colman’s College, Claremorris, received their Pope John Paul II awards in Knock Basilica recently. It was a wonderful night of celebration of all the great work done by so many young people across the Archdiocese of Tuam over the past 12 months. 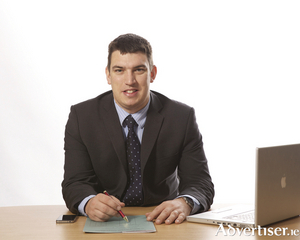 Westport College of Further Education are pleased to announce the autumn night class schedule for 2016. This year they are offering Level 5 FETAC/QQI accredited courses in Agricultural Mechanics, Graphic Design, Boom Sprayer Pesticide Application (Evenings or Saturdays), Digital Photography, Beekeeping, Nutrition, Barbering and level six Web Design. The Road Safety Authority has launched a national campaign to raise awareness of road safety among cyclists. Cyclists are at risk when using the road, as these statistics from the 1997-2010 period show: One hundred and seventy eight pedal cyclists were killed; 444 cyclists were seriously injured; more than 67 per cent of road deaths among cyclists occurred during daylight hours and more than one third of fatal collisions with cyclists happened during summer months. Local authority tenants, who have been residents for more than 10 years, have the opportunity to purchase their house in a new scheme, with up to 45 per cent off the house price available. JobFit Castlebar this week celebrated the successful completion by participants of the training programme at an awards ceremony held at Breaffy House Hotel, where the Mayor of Castlebar, Councillor Ger Deere presented certificates. At Monday’s meeting, members of the Housing SPC proposed a vote of sympathy to senior executive officer Martin Keating on the death of his wife, Mary O’Grady. Castlebar has played host to the launch and first leg of a series of nationwide personal finance meetings organised by the Irish League of Credit Unions. The event entitled ‘Managing your Money in 2011’ opened to a capacity crowd at the Harlequin Hotel last Thursday. Westport area councillors noted their dismay at the state of roads in the area following the extreme cold weather. A 21-year-old Claremorris man who pleaded guilty to a number of charges including theft, criminal damage, possession of a weapon, drink driving, and buying alcohol for a minor was given a total of 19 months in prison at Claremorris District Court this week.